This delightful book is 287 pages of fun and surprises. A very detailed chart called “How to use this dictionary” explains . . . well, how to use the dictionary. For example, children quickly learn that headwords in blue are invented words, the alphabet down the side of each page shows where the reader is in the dictionary, and “Ringbelling Rhyme” words help children write their own poems or songs. 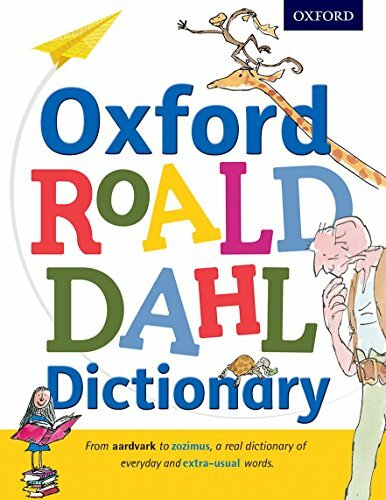 For an all-around wordy good time, use the Oxford Roald Dahl Dictionary for guided reading, creative writing, art classes, or independent fun. Also, since this book commemorates the 100th birthday of Roald Dahl, it can even be used as supplemental reading for his most popular works. This one’s a keeper!